Don't Let That Cookie Boss You Around! Don’t Let That Cookie Boss You Around! Discipline your mind. 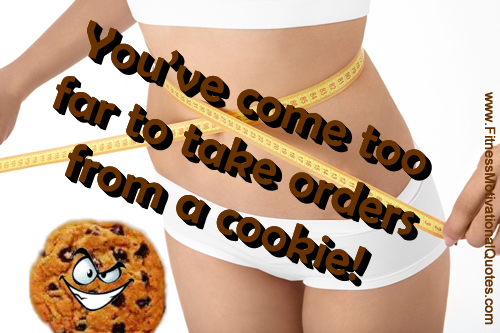 Don’t let that cookie boss you around! Say “NO” to it and don’t let it control you. Discipline yourself to nurture your body with healthy food and you will also be nurturing your life.